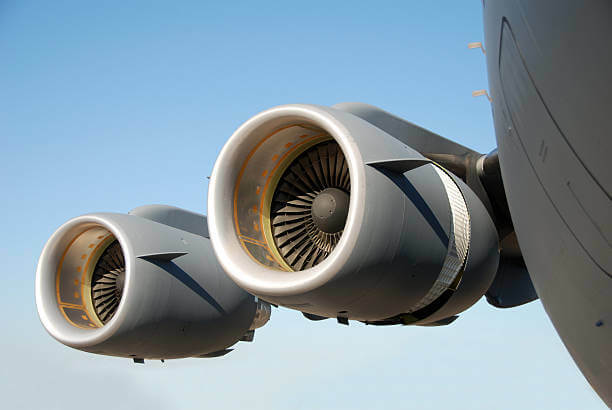 Aeronautical Engineering or Aerospace Engineering, is a study field part of the Engineering which is concerned with the study of aircrafts’ design and operation. Aeronautical Engineers apply their cutting-edge skills and knowledge from various interdisciplinary fields ranging from mathematics, physics, and pure engineering to improve and optimize aircrafts’ design, construction, effectiveness, safety, and their outreach. In today’s world, safe and efficient aerial vehicles are a crucial part not just for our daily traveling, but for scientific exploration exhibits outside the Earth. This implies that Aeronautical Engineering is not just a profession with a huge employability, but an exciting career to follow too. However, the study field of aeronautical engineering is a relatively young course and not many countries have the opportunity to support your education with much-needed practice sessions in real-life aeronautical environments. UK universities are among the world’s leaders in offering Aerospace Engineering courses valued for research-oriented study modules, innovative education approaches, and state-of-art facilities. On top of that, UK has the second strongest Aeronautical industry in the world, which promises to be a great opportunity for you to gain invaluable practical training during your regular course. If you have decided to get an Aeronautical Engineering degree in the UK, but you face difficulties to navigate through all those universities to choose the most suitable one, then you’re in the right place. Below we give you the best UK universities for Aeronautical Engineering based on factors like lab-based study modules, research facilities, real-life practical sessions, students’ satisfaction, and employability rate. Aeronautical Engineering courses at the University of Leeds cover several interdisciplinary subjects like math, physics, materials and computer science. Their study modules aim to equip you with a comprehensive understanding of all core concepts in Aeronautical Engineering and it will make sure those skills are applicable in the job market by involving you in real life simulations in the aeronautical sector. The university’s Industrial Advisory Board continually surveys the industry to makes sure your course is reflecting the most-up-to-date development and produce employable graduates. The Engineering Department at the iconic University of Cambridge offers a unique engineering course. During the first two years at the university, you will gain a core knowledge about the basics of engineering practice which will serve to you as a guideline to choose a field of specialization in the senior year. Aeronautical Engineering is one of those opportunities. The University holds strong ties with industry partners where you will have the chance to go and gain some industrial experience during your course, highly required in the job market afterwards. Also, you may have the chance to go abroad under the university’s exchange programs and get an additional experience. Aeronautical Engineering courses at the University of Bristol are a modern educational approach about the design and operation of the aircrafts. From the very first day in the campus, your course will expose you with several real-life situations in the industry of aeronautical to ensure you get the best out of your degree. Their team of highly regarded academics will be always by your side to provide essential guidance towards your academic improvement. In the first two years of this course, you’ll be taught about core mechanical engineering concepts and fundamental practical aspects of engineering systems. The course will continually involve you in lab work to grant you a perceivable sense of engineering practices. You will study the design of aircrafts, their performance and ways you can improve it. During the senior year, you can choose from a wide range of specialist units and make a research project individually on that particular field. Get your Aeronautical Engineering degree in one of the most reputed universities in the whole UK and start a new exciting career in this sector. Here you will receive an outstanding education which is designed upon cutting-edge scientific developments and in accordance with the in-demand skills in the job market. Aerospace courses at this university are a lifetime opportunity for you to gain an outstanding level of education in aircraft design and production. The institution runs several collaborations with local industrial companies including here a local airport, Airbus, Rolls Royce and BAE Systems. These courses are designed to teach you about major concepts of aerospace engineering related to design, development and the construction of aircrafts. In addition, the course will involve you in real life experience through which you can make your outstanding knowledge applicable in real life. Aeronautical engineering courses at the Queen’s Belfast, offer you a fundamental education over core concepts of aerospace engineering, while also equipping you with applicable engineering skills by putting you in real life aeronautical setting during your regular course. The aim of its courses is to produce excellent engineering who possess innovative thinking skills required to solve complex problems related to aircrafts in a systematic way. An Aeronautical Engineering degree at the University of Kingston will provide you a world-class education which will indicate your further professional and personal development. Your course will introduce with all important concepts in the engineering of aerial vehicles and will also give you the opportunity to test that knowledge in their modern lab facilities or in a real industrial environment. If you’re fascinated about aircrafts and you would like one day to build one, then an Aeronautical Engineering degree at Queen Mary can really help to achieve that. Engineering degree courses at this university put a greater emphasis on practical aspects of Aeronautical Engineering to enable you to genuinely understand applicable skills in this profession. Its vibrant community of students and proven research will guide and inspire your way toward becoming a future engineer.